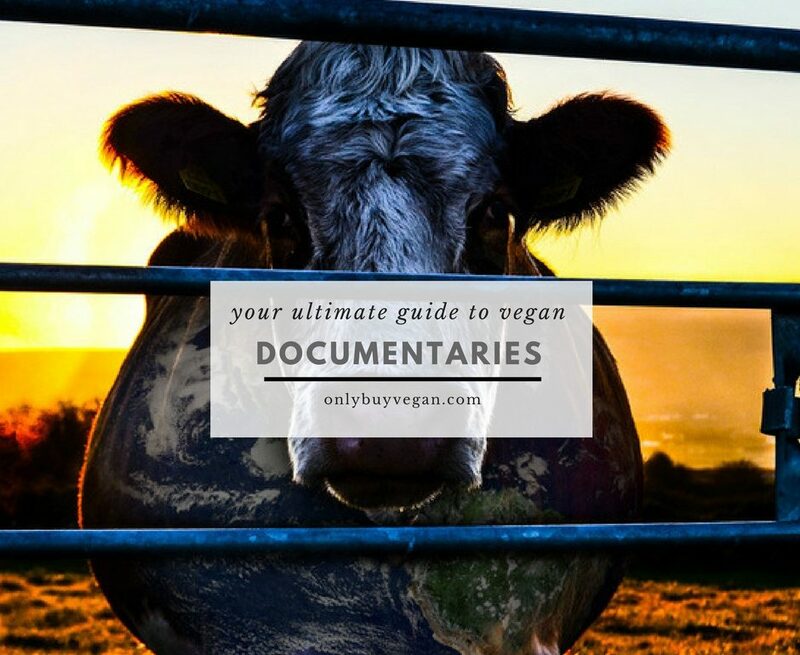 If you’re trying to convince a friend or family member than veganism is the way to go, or you just love vegan documentaries, then we’ve got a top list for you! Covering the best vegan documentaries out there, these films will make you think hard about your current diet and if you’re eating the right things. So put your feet up, grab some popcorn and prepare to have your mind blown! Unlike other vegan documentaries, instead of focusing on why someone should be vegan, this documentary focuses on Bees. Used regularly for their honey, many people don’t consider them animals and the effect that farming honey has on their species. If you’re a true vegan, then you’ll know how bad honey farming is. If you don’t, then this documentary will explain it all for you. Released in 2011, the film explores the economic, political and ecological implications of the disappearing honey bee. Often overlooked by many shoppers and consumers, the effects on our environment can be catastrophic. The Vanishing of the Bees examines our current agricultural landscape and how we must change in order for honey bees to survive. The documentary also provides viewers with tangible solutions they can apply to their everyday lives in order to help. Featuring Ellen Page as the narrator, the film is a great watch and will make you think twice about buying honey products. Simply Raw is a fantastic documentary that shows the true power a vegan diet has on our bodies. In this documentary, a group of 6 Americans suffering from diabetes take on a 30-day diet challenge. The challenge involves all participants giving up meat, dairy, sugar and alcohol and swapping them for a raw vegan diet. Included in the film are interviews and commentary from Woody Harrelson as the documentary takes a close look at the effects of meat. Talking to various health practitioners and doctors, this vegan documentary will change the way you eat forever. While most of the participants struggle with the dramatic diet change, they soon seen major differences in their lives. Not only does their new vegan diet improve their diabetes but it also increases their overall health. Perhaps you know someone who has diabetes or someone who just lives an unhealthy lifestyle in general. After watching this film and learning about the powers of a raw diet, they’re bound to change their eating habits. Have you ever spotted a random factory farm in the remote countryside, practically in the middle of nowhere? Director Mark Devries has, and he decided to explore what goes on inside them. Released in 2013, Speciesism follows the journey of Mark as he sets out to investigate remote factory farms all over America. Taking his trusty camera with him, this film quickly becomes an interesting vegan documentary. On his journey, he interviews several farm owners as he tries to discover what goes on behind the closed doors. He also takes matters into his own hands and even commissions a private plane to fly over the farms to see what they are up to. Upon his quest, Mark also interviews several people about their belief on animals and why they think humans are a species are superior. The documentary also explores many thought provoking questions relating to animals and why we even eat them in the first place. If you’re still trying to understand while some people eat meat and why they won’t change then this documentary is an excellent watch. It will also equip you with some great vegan arguments that you can use in your inevitable debates. Considered the sequel to the award-winning Earthlings documentary, Unity is a film that looks at our relationship with each other, animals and nature. Taking an incredible 7 years to make and starring over 100 famous actors, athletes and musicians narrating the movie, Unity is an inspiring watch. Directed by Shaun Monson, the documentary was released in 2015 after raising $800,000 via crowdfunding to fund the movie. Most of the actors, athletes and musicians also did their parts for free to help spread the message. Presented in 5 chapters, the documentary asks the question: “After thousands of years of living on Earth, why can’t we seem to get along with each other?”. The film goes on to explore how all forms of life are connected and how we live peacefully on this planet we call home. Available to watch on Netflix now, if you enjoyed Earthlings which we covered earlier, then you’ll love this. Coming in at number 1 on our list of the best vegan documentaries is the incredible Earthlings. Directed by Shaun Monson and released in 2005, the Earthlings documentary will completely change your way of thinking. The film uses hidden cameras to expose the harsh living conditions and treatment of animals around the world. Included in the film are several scenes of gruesome and graphic footage that shows what’s really going on behind the scenes. There is absolutely no editing or any attempt to tone down the footage and gives viewers the full raw experience. Narrated by Joaquin Phoenix, the film has won several awards including the best documentary feature at the Artivist Film Festival. The film also scooped the best documentary film award at the San Diego Film Festival. With such a powerful message this vegan documentary definitely deserves the number 1 spot on our list. If you’re trying to convince your friends and family to go vegan, then this is the documentary that will change their life forever. If you’re a fan of vegan documentaries, then you’ll love this intriguing film. Although it doesn’t explore the concept of veganism, like many vegan documentaries, have already done before, the documentary looks at the captivity of killer whales. Focusing on the primary orca named “Tilikum” who has killed 3 SeaWorld trainers since being in captivity, the movie asks the question: why did it happen? In the wild orcas are known for being intelligent and calm animals with no reports of ever attacking humans. So how can 1 kill 3 people? The film includes several interviews with former SeaWorld trainers which helps viewers understand the behind the scenes conditions these animals live in. By revealing what these animals in captivity experience, the film hopes to help bring an end to animal cruelty and captivation of animals. On Netflix now, this documentary will change the way you view sea parks like SeaWorld and will make sure you never visit again. Forks Over Knives takes a scientific look at meat-heavy diets and the effect they have on our health. Featuring numerous leading health experts such as Dr. T. Colin Campbell and Dr. Caldwell Esselstyn, the documentary explores their own first-hand experiences. Both doctors grew up on farms where they were regularly told animal protein was a healthy and essential part of their diet. However, they both soon changed their diets upon looking at the mountain of scientific data against them. Interestingly enough both of these doctors had never met each other, yet both came to the same conclusion; a plant-based diet cures most of the diseases and issues we face in society today. To inspire you to change your diet, the documentary also includes plenty of real life stories. These stories show people who have lost lots of weight and improved their overall health. All thanks to a vegan diet of course! If you need to convince someone veganism is the way to go, then tell them to watch this. Available on Netflix now, convincing people to become vegan just became a lot easier. Next up on our list is the appropriately named documentary “Vegucated”. Released in 2011, the film follows 3 meat and cheese-loving New Yorkers who agree to adopt a vegan diet for 6 weeks. You could probably say this is the complete opposite of Supersize Me! During the movie, the participants visit an abandoned slaughterhouse and take tours of other facilities to get a first-hand experience of the cruelty and suffering. Like most vegan documentaries there is some first-hand footage of what they see and leaves nothing to the imagination. If you’ve ever had friends and family disapprove of your vegan lifestyle, then you’ll be able to relate to this film. Not only do the participants receive disapprovement and social challenges from their friends and family, but it seems that the whole of society is against them! Available on Netflix now, head on over and check it out! The next vegan documentary on our list might sound like a comedy, but it’s far from it. Cowspiracy is an eye-opening film that focuses on the environmental effects of animal agriculture. Crowdfunded by the online vegan community, the documentary explores how animal agriculture is the primary contributor to climate change. Directed by Kip Andersen and Keegan Kuhn, the film shows the directors approaching large environmental organizations such as Greenpeace to question them on agriculture farming. Throughout the film it becomes apparent that environmental agencies only seem to focus on fossil fuels reduction whereas animal agriculture is left unchallenged. Released in 2014, the documentary is an interesting watch on how a meat-based diet is contributing to climate change. Like many vegan documentaries, the film also focuses on how unsustainable a meat based diet is due to the limited resources of the world. If you want to learn about how changing your diet can help reduce climate change, then this film is a must watch! Coming it at number 1 on our best vegan documentaries on Netflix list is Food Inc. Released in 2008, this documentary takes a look at America’s food industry and how it is controlled by just a few companies. It’s no secret that food companies want to make as much money as possible. However, what is a secret are the extreme lengths they will go to in order to do so. Directed by Robert Kenner, this film is by far the best vegan documentary on Netflix. Not only does the film expose the secret workings of America’s food industry, but it also looks at possible solutions to the problem. With lots of first-hand footage from inside the animal processing factories, this film does a good job of showing what really goes on behind the scenes. Available on Netflix now, if you want to learn about the dark side of America’s food industry, then be sure to give this a watch! Don’t consume or use anything that contains animal by-products or is linked back to animal cruelty. Make the change today, check out some of our awesome recommendations below.